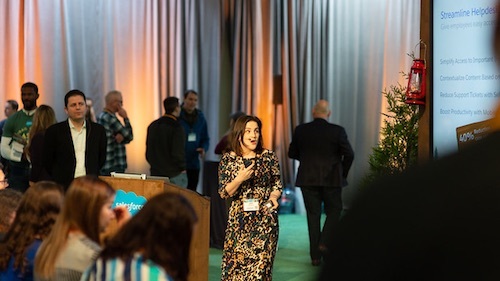 Today’s customers have markedly higher expectations of companies than ever before, according to Salesforce Research’s new “State of the Connected Customer” study. In the Age of the Customer, technology has empowered customers to take their business elsewhere and identify alternatives. It has also radically changed expectations of how companies should interact with customers. Sixty-four percent of customers now expect real-time responses and interactions with brands; 75% expect companies to provide consistent experiences, regardless of channel; while 89% of business buyers expect companies to understand their unique business needs and expectations. The stakes are high for brands that fall short. Two-thirds of customers say they’ll switch brands if they feel treated like a number, not an individual, while half of consumers say they are likely to switch brands if a company doesn’t anticipate their needs. These shifting expectations mean companies enabled by near-ubiquitous connectivity and innovative technology have disrupted vast swathes of the global economy. The success of Uber and Lyft have cut the price of NYC taxi medallions — which are required to operate a taxi — from $1.32 million in 2013 to $650,000 in 2015. It’s estimated that the New York hospitality industry loses $450 million in direct revenues per year to Airbnb. The personalized, convenient services of Netflix, Hulu, and Amazon Video have empowered a generation of cord-cutters to sever ties with cable companies, with Forrester predicting that by 2025 only 50% of TV viewers will consume content via traditional cable TV. Business leaders must prepare for the inevitable disruptions in their own industry, and doing so requires a three-step strategic transformation. Step 1: Put the customer at the center of your business. Thriving in this challenging new environment requires leaders of every organization to reorient the focus and function of the entire company. Top business leaders are redesigning their company’s structures, organizational models, workflows, and processes to ensure that the customer is at the center. Customer-facing departments have tremendous pressure to respond. 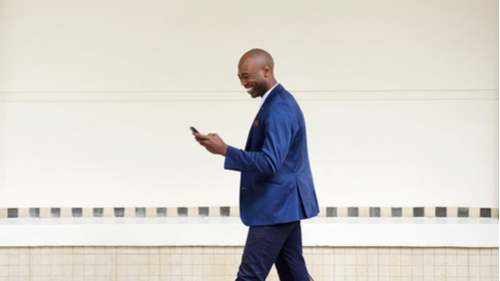 Marketing departments need to build a personalized journey for customers. Delivering custom-tailored marketing messages consistently over the entire customer journey has a major impact on securing customer loyalty. 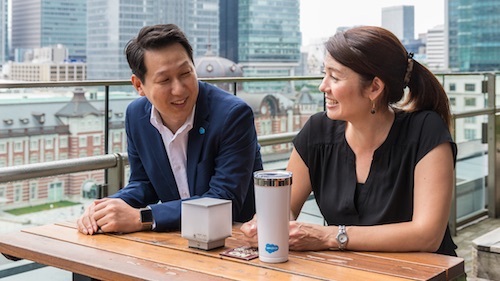 Sixty-five percent of respondents in Salesforce’s “State of the Connected Customer” study said that personalized experiences influenced their loyalty to brands, while 52% said they were likely to switch if a company doesn’t personalize communications. Sales departments should become a trusted advisor that adds value. Being an order-taker or product-pitcher no longer cuts it. Business buyers and customers both expect salespeople who understand their preferences and unique needs, and are a trusted advisor that adds value through that understanding — rather than attempting to make quick sales. Service departments should emphasize truly conversational experiences. Exceptional service experiences that provide a conversational quality require speedier response times, full knowledge of customer history, and consistency in offering and delivering customer solutions. Sixty-eight percent of consumers say it’s important for agents to know their service history, while immediate responses and timely issue resolution have a major impact on both consumer and business loyalty. As customer expectations for immediacy, personalization, and consistency continue to rise, leaders in innovation and disruption will be those best able to use technology to cultivate customer relationships that mirror real human interactions. As such, customer data will become an even more critical element of competitive advantage. Step 2: Seize the opportunity of AI to deepen customer relationships. As competitive advantage is increasingly defined by one’s control of and insights from customer data, the opportunities of AI become impossible to ignore. Organizations face pressure to move fast to gather, manage, and leverage customer data in real time, and deliver consistent performance at scale across each customer’s preferred channels. The insights that AI surfaces — descriptive, prescriptive, and predictive — not only help organizations create 360-degree views of each customer, but also give customer-facing employees the insights and guidance needed to optimize every customer interaction. Step 3: Drive change beyond customer-facing departments. Business leaders must not simply focus on modernizing their marketing, service, and sales departments. The impact of the Age of the Customer is far broader. The most successful companies are those that put the customer at the center of every business function — from product development to talent management and beyond. How can companies bring products to market at the speed of the customer? Decentralized manufacturing will allow for considerably shorter supply chains and accompanying reductions in time to market, while artificial intelligence will not only power immediate responses to customer queries, but can take historical data to predict the products and services most likely to find favor in the market. Both technologies lead to the possibility of a much more granular, customized approach to product development than has been possible previously — which matches well with the premium customers already place on personalized services and experiences. Human-machine interfaces: Put simply, AI is at its most powerful and effective as a tool to augment, not replace, human employees. Therefore, companies must work to create the most seamless and effective human-machine interface possible. Education and training: In a world where nearly 50% of subject knowledge acquired during the first year of a four-year technical degree will be outdated by graduation (according to the World Economic Forum) training will be a permanent state for most workers moving forward. As such, companies must redouble efforts to design training that can not only equip workers with the new skill sets they need, but is fit for purpose in a world where required skill sets will themselves be in flux for years to come. This is the second part of a two-part series on new customer expectations in the Age of the Customer. Part One investigates how customer expectations have changed over time. 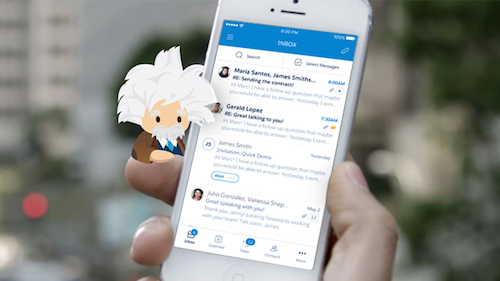 This article was published in conjunction with Salesforce’s “State of the Connected Customer” report.